Zaniyar Moradi Iranian Political Prisoner Sentenced to Death : Everyone Must Know That I Am Innocent ! "I hope there comes a day that i could prove my innocence in an unbiased court and everyone will know that i am innocent. " "I starred at the pictures , i could only recognize only my father , i could not recognize them well, but when i looked at the back of the picture it was written: your father , mother and sister " Dideh" ." This political prisoner spoke about the being far from his family and life behind the prison bars and injustices. It was a few days ago in the prison via post i received a letter from a relative,there was a few pictures , i starred at the pictures and was able only to recognize my father, i saw a woman whose hair was white and had a worried face and a girl was standing beside her , i was unable to recognize her well, when i saw at the back of the picture ,it was written : your father, mother and sister " Dideh". Tears dropped from my eyes, didn't know these tears are for a mother i haven't seen her in the last six years and now her face is strange for me, or for a sister who have grown up and is waiting her brother to come out from behind the bars , bars that are build on injustice." IRAN WATCH CANADA: who can read these words and hold his tears. Hassan Rohani the president of the Islamic regime in Iran released his charter for citizen's rights, but where is his charter and his defense for Iranian citizens who are being sent to prison and sentenced for years or being executed. Islamic Regime in Iran hanged another political Prisoner in Karaj- Rejaei Shahr prison !???!! HRANA in an urgent communique requested all human rights activists and organizations around the world to help stop the execution of Mohsen Amir Aslani Zanjani a faith based prisoner who is sentenced to death under the charges of " Insulting the Prophet Youness , doing things that are forbidden by Sharia law and....". The regime is currently holding him in a solitary confinement cell before taking him for execution. 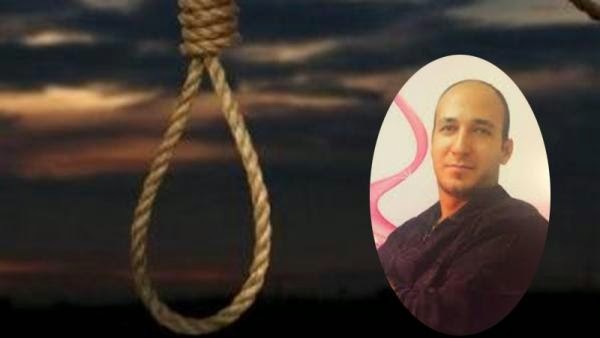 But Report was short Mr. Mohsen Amir-Aslani Zanjani is executed by regime . A Social Researcher is under Extreme Pressure of the Interrogators of the Ministry of Information for Forced Video Confession! Violation of human rights in Iran is so much that it is impossible to follow/monitor all! According to the report, political prisoner Zahra Zehtabchi An expert on Social Science and a social researcher is in ward 209 of the Evin prison and is under extreme pressure of the agents and interrogators of the ministry of information for a forced Television confession . Her interrogator's name is " Alavi" who is trying to force her to speak on video against the ministry of information. 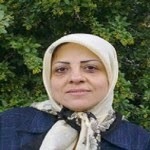 Ms. Zehtabchi announced, if these medieval torture continues she would go on hunger strike. Ms. Zehtabchi have spent 12 months in prison and all in solitary confinement for not agreeing to seat for a forced video confession. ISIS.....ISIS .......ISIS .....or ...Iran's Nuclear Talks.....or ........ Is covered all the media's front pages around the world ..But very little to none about the world worsening human rights situation and even UN session and their reports on violation of human rights around the world. Why the world has become so ignorant about human rights ? Is it because the people are fed up with supper powers playing double standards? After the creation of UN and the coming of human rights charter , world public become hopeful that human rights revolution would change the world or eliminate and at least reduce the violation of human rights , discrimination , racism , ethnic and religious conflict .........but look where we are now? Its a mess every where we look . We Need a world wide action or movement against violation of human rights . And for this the role of Human Rights organizations around the world would become more harder from now on , more action must take the place of issuing letter or resolutions and protest letters . The human rights organizations around the world need new approach to the increasing violation of human rights . Bringing to your attention the impending trial of Mr Shahram Ahmadi, who will most likely be sentenced to death. 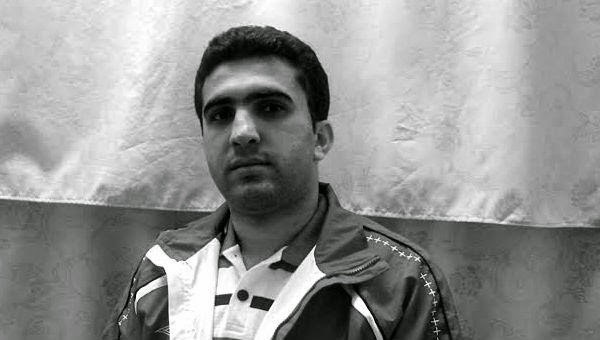 Mr Shahram was arrested in 2009 and was held incommunicado for 33 months in solitary confinement. He was subjected to severe torture and ill-treatment. In 2012, he was sentenced to death on charges of Moharebeh, in a trial that lasted only five minutes. His case is currently at the appellate court and it’s certain that his death penalty will be upheld. Mr Shahram’s younger brother, Mr Bahram Ahmadi, who was under 18 at the time of his arrest, was executed in 2012 on same charges. His body was even not handed over to his family for proper burial. Both of them were targeted for their religious activities. Mr Shahram’s father sought clemency from the Government but to no avail. The family is currently enduring tremendous pressure and plight and are in urgent need of support. I appeal to all relevant activists and organisation to take up this case and prevent the execution of another innocent person. Details about the case can be found in attached document, which is in Persian. 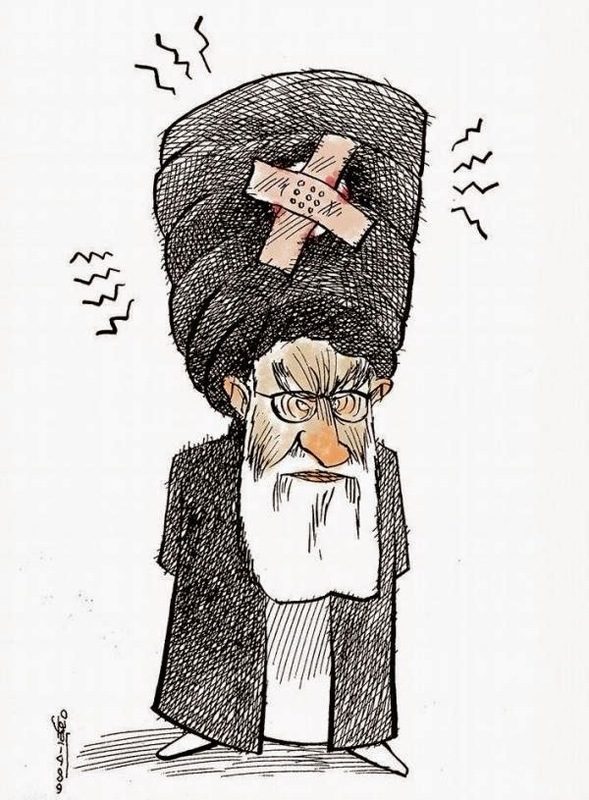 Islamic regime in Iran talks about Islamic human rights !!?? ?, Their Islamic human rights does not even includes Sunni Moslems and Dervishes !!??? According to the website of Iran Gonabadi Dervishes (" Majzoban Noor" ) , on Saturday September 21 Iranian Dervishes including the family members of those 9 imprisoned Dervishes who are currently on hunger strike planned to gather in front of Tehran public prosecutor office in support of the demands of imprisoned Dervirshes, the security and anti riot police forces of the Islamic regime attacked and prevented their protest , as a result, the protesters were beaten by baton and more than 800 were arrested and detained . later the website released the names of 450 of those detained . 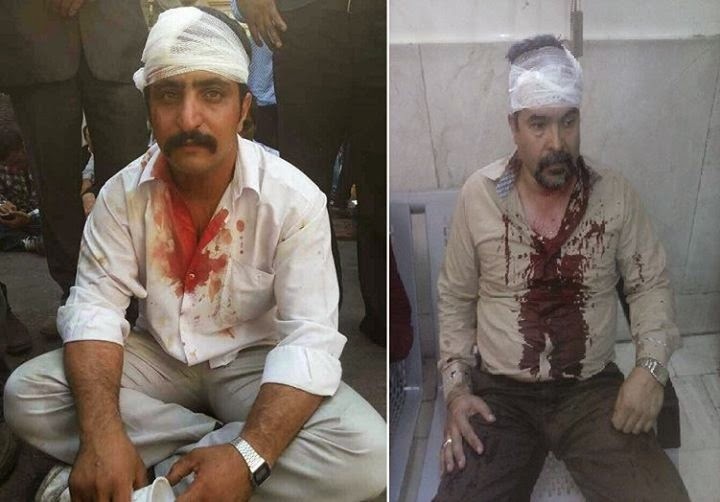 About 300-400 Iranian Dervishes continued their protest today Sunday morning at around " Behesht Street " in support of imprisoned Dervishes and as a result 50 of these Dervishes were wounded including one woman who's arm was broken due to police attacking and beating them with baton. According to report during the attack ,the police forces took away and or broken their mobile phones. 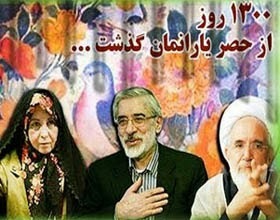 The house arrest of Green Movement leaders in Iran , Ms. Zahra Rahnavard, Mr. Mir-Hossein Musavi and Mr. Mehdi Karoubi has reached to 1300 days and the world is silent about it . It was on Feb . 14 , 2011 when the security forces of the Islamic regime put these three leaders under house arrest. First the security forces prevented Mehdi Karoubi's family to visit him and then they blockaded the alley where the house of Mir Hossein Musavi was located by putting a van on its entrance. Is this any different from Myanmar leader Aung San Suu kyi? In 1953 Mohammad Mossadeq the prime Minister of Iran and National leader was put under house arrest after the coup by Shah and his travel and relation with outside his house was cut off and he died gradually . 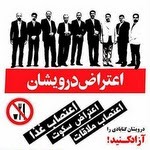 Don't Keep Silence on Iranian Green Movement Leaders House Arrest , Start speaking about them with Islamic regime ! 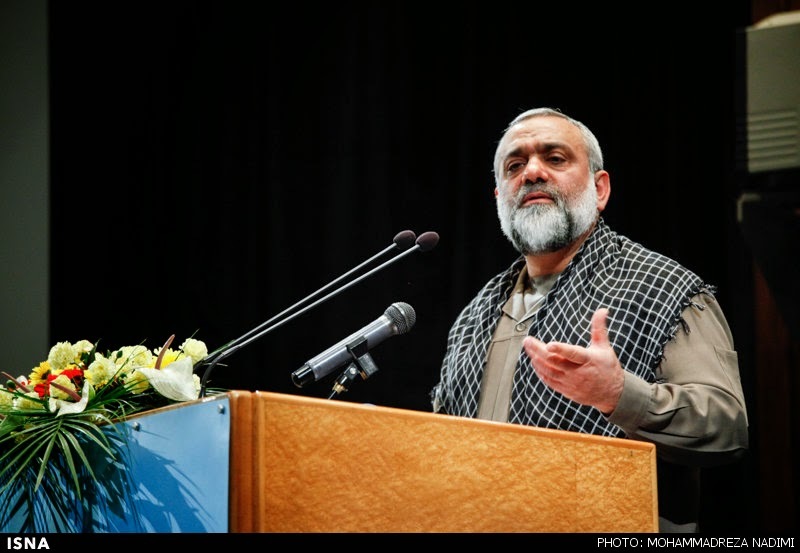 This man Mohammad Reza Naghadi is the head of Basij organization of the Islamic regime in Iran, during the Election coup in 2009 he had direct responsibility by ordering his forces ( Basij Militias) to attack, shoot and kill the peaceful Iranian protesters in the green movement. He is a human rights violator and must be brought to the International Criminal Court for his role in killing and wounding thousands of Iranian people. Governments around the world with respect on human rights must not issue visa or admit him in their countries. 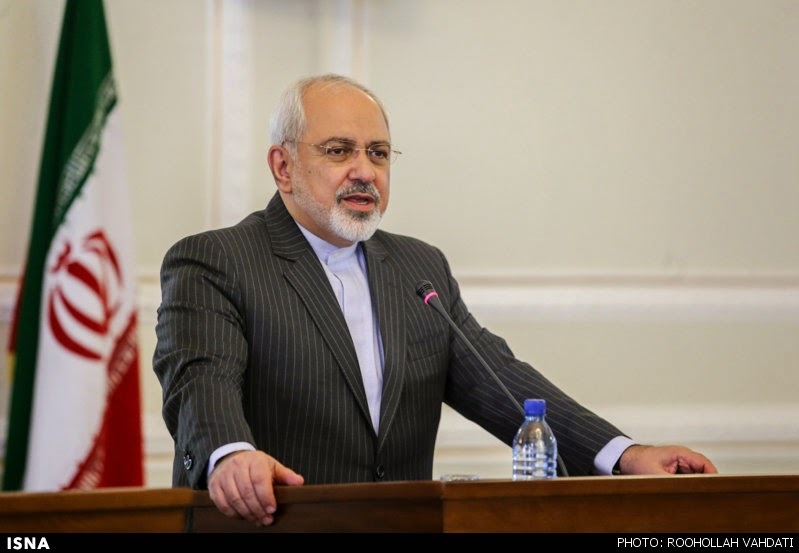 Mohammad Javad Zarif the Foreign Minister of Rohani's Government in Iran : UN Human Rights Report on Iran is politically opinionated ! The Two Mohammad Javad believe there are no violation of human Rights in the Islamic Regime in Iran ! Mohammad Javad Zarif the foreign minister of Hassan Rohani's government who is in New York have met Ban Ki Moon the head of UN on Thursday and expressed the UN General Secretaries' report is contrary to the real trend , programs and actions of the Government and called the report as politically opinionated one . He said: UN only reports about Iran and makes no report about other countries in the region, and this is not acceptable. He also said : The preparation of such reports is politically opinionated and it is a double standard. Mohammad Javad Zarif the foreign minister is playing same music as Mohammad Javad Larijani the head of human rights commission of the Islamic regime in Iran . 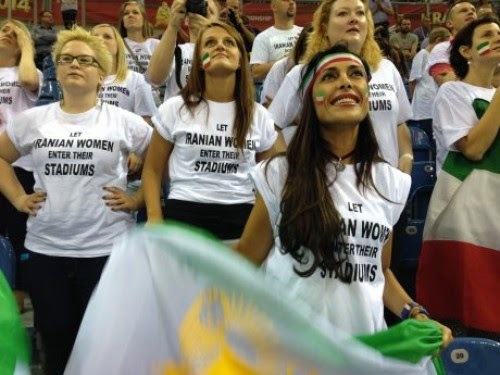 Polish Women in Support of Iranian Women to Have the Rights to Enter into the Sports Stadium ! 1- Atena Farghdani the Iranian Children rights advocate is arrested . 2- Ms. Sousan Tabiyanian the Bahai resident of the city of Semnan is sentenced to one year imprisonment by the court of revolution. 3-The judiciary system of the Islamic regime in Hormozgan province sentenced Mr. Badie Hosein- Panahi an Iranian Kurdish activist to seven years imprisonment. Mr. Hosein -Panahi is from the town of Dehgalan in Kurdistan. He is the cousin of Anvar Hosein -Panahi the well known Kurdish civil rights activist. 5- Mehdi Mahmoudian journalist and member of Mosharekat party after ending his prison sentence in Rejaei Shahr prison was beaten first and then released in the street by prison guards. 6- Imprisoned Reza Shahabi the Iranian labor leader and a syndicalist of Tehran Bus Drivers known as Sherkat Vahed went under yet another heavy back surgery . 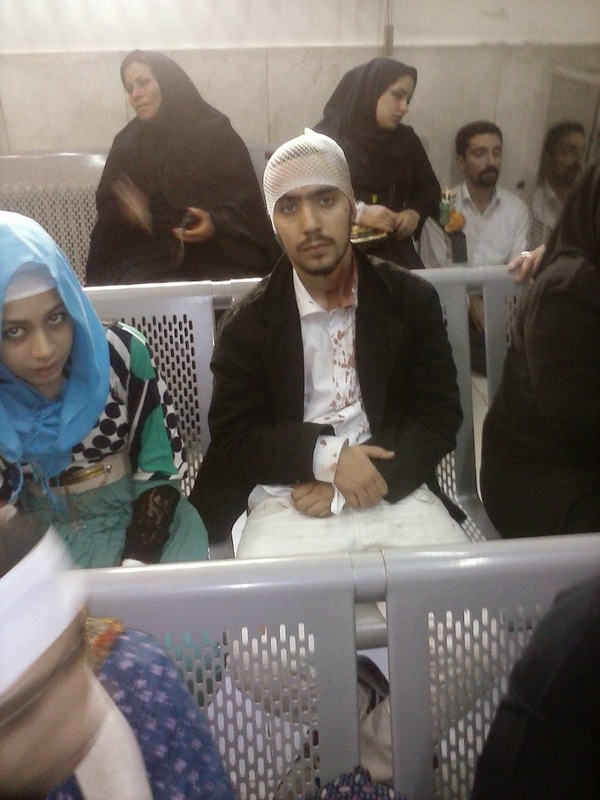 His back injuries was as a result of beating caused during his arrest and transfer to prison by security forces. The last persons name is " Sepideh " ,her identity is still unknown. 8- Mr. mohammad Jarahi a worker who is currently in Tabriz prison need special medial care but prison officials denying him the right to proper medical care. 9- Seven Iranian human rights organizations in Sweden decided to honor Mr. Abdolkarim Lahiji the Iranian human rights defender and lawyer- for his 50 years life long defending human rights in Iran and Ms. Mehrangeez Kar the Iranian lawyer and human rights advocate for her role in defending human rights in Iran. 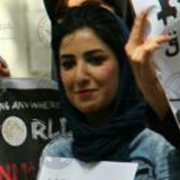 Ghoncheh Ghavami The 25 years old Iranian women Supporting "Iranian Women Presence in Sport Stadium " is Arrested and Detained ! 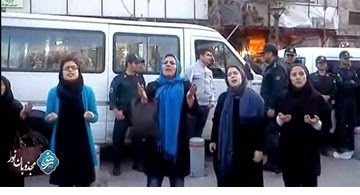 Iranian Women Go To Jail for Watching Sport in the Stadium ! Ghoncheh Ghavami like many women around the world wants the Iranian women enjoy attending the sports stadiums and watch their national teams and support their teams in different games but Islamic regime in Iran and its Ayatollah's forbid the women attending the stadium on religious bases. 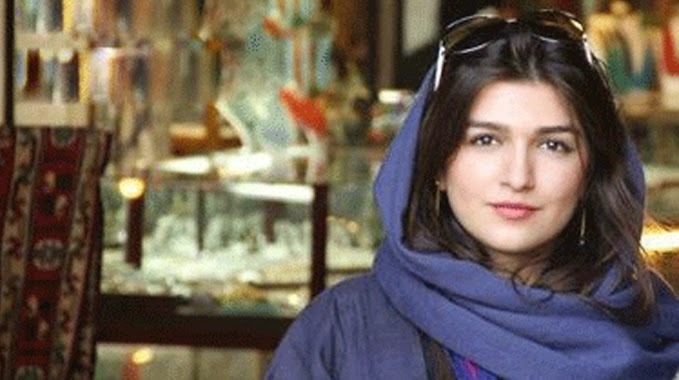 She was attending for the Iranian national volleyball team game between Iran & Italy when she was arrested and detained . its been 76 days since her detention and she is in ward No. 2 -Alef of Evin prison. Islamic regime in Iran forbids women to attend the sports stadium!!!????? Atena Farghdani the Children Rights Advocate is Arrested ! Atena Farghdani the painter and children rights advocate is arrested two weeks ago and there are no information on her whereabouts . 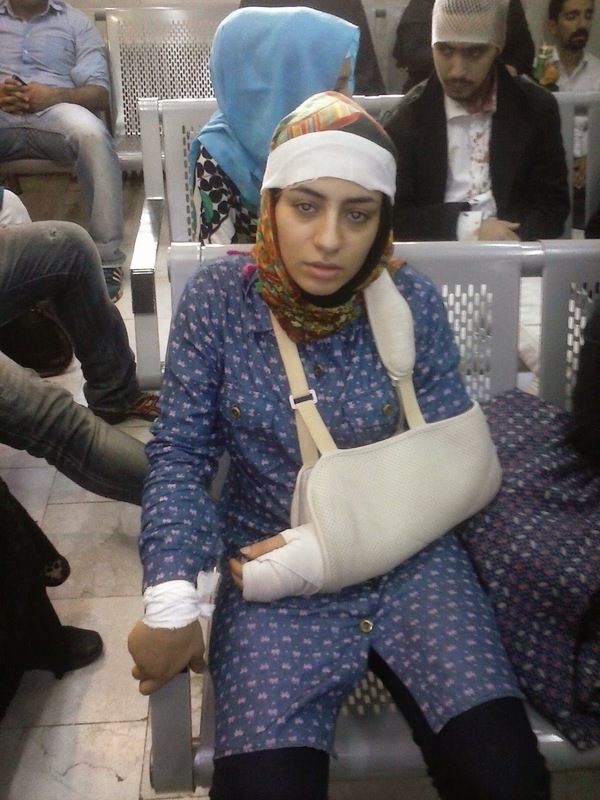 The security forces attended at her resident and arrested her without knowing what is her charges. Earlier she exhibited painting at the "Association for The Rights of Children " in support of children rights. She was also teaching painting to the children. The UN secretary general, Ban Ki-moon, has sharply rebuked the Iranian president, Hassan Rouhani, for failing to improve human rights since taking office in August. Despite "commendable steps" under Rouhani, including the release of a limited number of high-profile political prisoners, violations had continued, Ban reports in a new report to the UN human rights council issued on Tuesday. Execution, arbitrary detention and unfair trials, descrimination against minorities, mistreatment of political prisoners, and restrictions on freedom of expression, are among subjects that remain concerns, according to Ban. The secretary general said he was particularly concerned about the increased use of capital punishment in Iran. "At least 500 persons are known to have been executed in 2013, including 57 in public. According to some sources, the figure may be as high as 625. Those executed reportedly included 27 women and two children," Ban said. Ahmed Shaheed, the UN special rapporteur for human rights in Iran, said on Wednesday that, in Iran, at least 176 people so far had been put to death this year alone. Ban complained that Iran had not allowed Shaheed to visit and investigate the abuse claims on the ground. Ban said: "The new government has not changed its approach regarding the application of the death penalty and seems to have followed the practice of previous administrations, which relied heavily on the death penalty to combat crime." His report also urged Rouhani to consider the immediate release of the two opposition leaders, Mir Hossein Mousavi and Mehdi Karroubi, who have been under house arrest without trial since the aftermath of the 2009 presidential election, won by the hardline Mahmoud Ahmadinejad. Ban said that at least 80 political prisoners had been released since mid-September, including the prominent human rights lawyer Nasrin Sotoudeh, but that many remained in jail. "Despite these welcome developments a large number of political prisoners, including high-profile lawyers, human rights activists, women rights activists and journalists, continue to serve sentences for charges that are believed to be linked to the exercise of their freedoms of expression, association and peaceful assembly." Lawyers including Abdol Fattah Soltani, Mohammad Ali Dadkhah, and Mohammad Seifzadeh, were "detained solely for exercising their rights to freedoms of expression, association and assembly", according to the report. Ban said that Rouhani's administration had not made "any significant improvement in the promotion and protection of freedom of expression and opinion" despite pledges made by the president during his campaign and after his swearing-in. At least 35 journalists were also held behind bars, and two newspapers had been shut down recently. "Both offline and online outlets continue to face restrictions including closure," the secretary general said. On freedom of belief, he warned: "Religious minorities such as Baha'ís and Christians face violations entrenched in law and in practice. Harassment, home raids and incitement to hatred, are reportedly commonly applied by the authorities to suppress the Baha'i community." 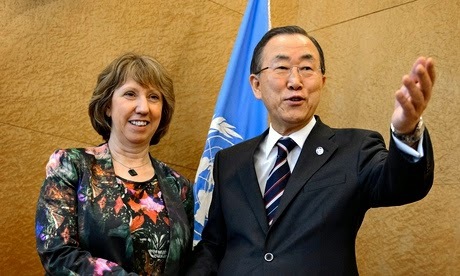 Apart from Ban, the EU foreign policy chief, Catherine Ashton, has also raised concerns about the situation of human rights in Iran. Ashton infuriated Iranian hardliners when she met a number of women's rights activists during a recent visit to Tehran. On Wednesday Ashton's meeting was still creating ripples in Iran, with the head of the judiciary and parliament condemning it. The Washington Post said yesterday that it had received “credible reports” that its Tehran correspondent Jason Rezaian had been arrested, together with his Iranian journalist wife Yeganeh Salehi. Rezaian, 38, who has dual US and Iranian nationalities, has been in post in Tehran since 2012. His wife works for the newspaper The National, based in the United Arab Emirates. Also detained was a female Iranian-American photojournalist, whose identity her family did not wish to disclose. She was reported to work for several news organizations including the Washington Post. Her husband, who is not a journalist, was also arrested. With 65 journalists and netizens in prison – five of them foreign nationals — Iran is one of the world’s top five prisons for those working in news and information. According to information received by Reporters Without Borders, all four were arrested at the same time by plain-clothes police officers at their homes two days ago. No official reason was given for the arrests or on whose authority they were detained, and it was not known where they were being held. A US State Department spokesman told the Washington Post yesterday: “Our highest priority is the safety and welfare of U.S. citizens abroad”. Reza Moïni, the head of the Reporters Without Borders Iran, Afghanistan and Tajikistan desk, said: “These journalists are accredited by the Ministry of Culture and Islamic Guidance and are working legally in Iran”. Published on Friday 12 September 2014. Reporters Without Borders is very worried about the many journalists and netizens who continue to be detained despite suffering serious ailments, and condemns the lack of adequate medical treatment in the prisons where they are held. 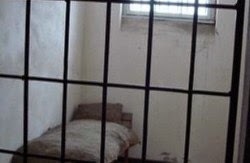 There is currently a great deal of concern about the physical condition of a group of detained contributors to the Sufi news website Majzooban Noor who began a hunger strike on 31 August in protest against their prison conditions. “As photos of Supreme Leader Ali Khamenei undergoing surgery in a modern Tehran hospital go round the world, detained journalists and netizens are being denied treatment in Iran’s prisons,” said Reza Moini, the head of the Reporters Without Borders Iran-Afghanistan desk. 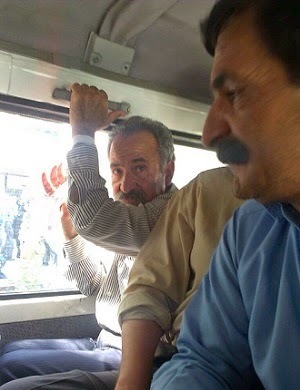 The Majzooban Noor contributors who began a hunger strike on 31 August are Reza Entesari, Hamidreza Moradi, Mostafa Abdi, Kasra Nouri and Afshin Karampour. Their jailed lawyers, Amir Islami, Farshid Yadollahi, Mostafa Daneshjo and Omid Behrouzi, have joined the hunger strike. Majzooban Noor is a news website that supports the Nematollahi Gonabadi order of Sufism. The journalists and netizens working for Majzooban Noor were arrested during a government offensive against Sufis on 8-10 September 2011 and were sentenced on 13 July 2013, at the end of an unfair trial before a Tehran court, to jail terms ranging from six month to eight years. Since then, they have been held in Tehran’s Evin prison or in Nezam prison in Shiraz, in the southeastern province of Fars. Several of them, especially Entesari, Daneshjo, Moradi and Karampour, have been critically ill in their cells but have been refused the treatment they badly need because the prison and judicial authorities rarely authorize transfers to hospitals. According to the International Covenant on Civil and Political Rights, to which Iran is a party, denying medical care can constitute a violation of the ban on torture and cruel, inhuman or degrading treatment. The internal regulations of Iran’s prisons, issued by the judicial body in charge of managing detention centres, require prison officials to provide detainees with the medical care they need. Articles 102 and 103 of the regulations say that “monthly medical checks are obligatory in the prison clinic” and that “if necessary, the detainee must be transferred urgently from the prison to the hospital.” These regulations also say that the judge in charge of the case is responsible for the health and safety of any prisoner with a serious and incurable illness. Iran is one of the world’s most repressive countries as regards freedom of information. It is ranked 173rd of 180 countries in the 2014 World Press Freedom Index compiled by Reporters Without Borders. 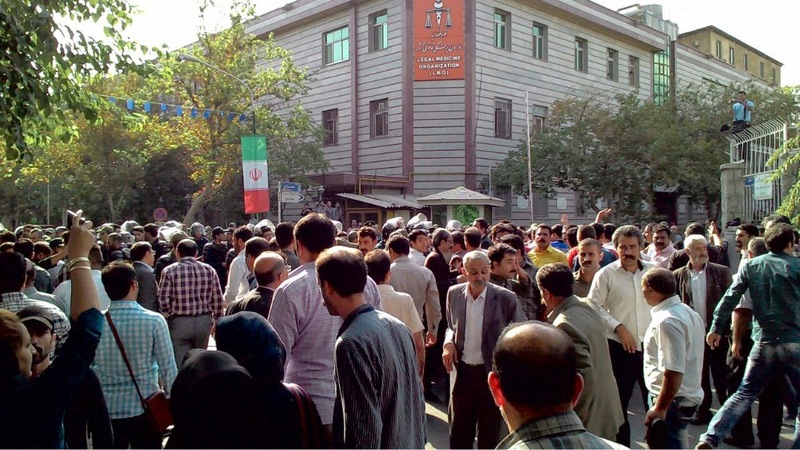 Pre Elementary School Teachers From Tehran and other provinces Gathered in Front Of Presidential Palace and Ministry of Education , Rallied for Job Security & Rights ! This is the 3rd days of rally by pre elementary school teacher in front of ministry of education, parliament and presidential palace . They rallied for their job security and rights. They want to know about their permanent employment . They also protested against the comments ( insult) made by Mr. Asgari Azad the Presidential representative in parliament, he called these teachers illiterate . Around 100 teachers spent the whole night in front of ministry of education. 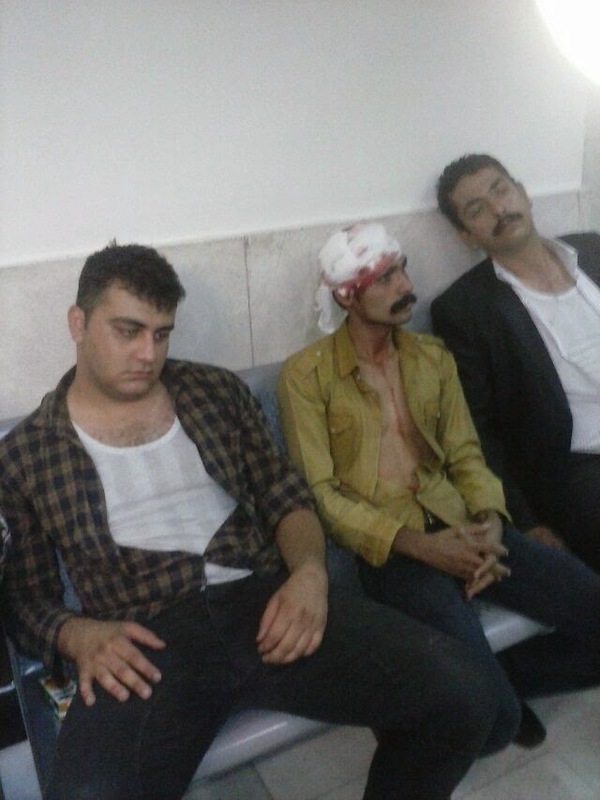 Nine Imprisoned Dervishes : We Are Not Dying of This Hunger Strike But Being Killed ! Alert ........Alert..........Imprisoned Derwishes Are dying in Islamic Regime's Jail ! They need human rights organizations support . Nine Iranian imprisoned Derwishes from Evin and Shiraz ( Nezam) prison in a Letter (will ) to all Derwishes said : We are not dying of hunger strike but being killed and you must follow our case after us, until those who have killed us brought to justice. Out of these derwishes three have even refused the medications. These derwishes went on hunger strike since last week and demanded all imprisoned derwishe be released , to end looking at them as security threat , and to end violation of derwishes rights. Islamic Regime's Revolutionary Guards( Sepah Pasdaran) in Iran Earns 12 Billion Dollars/ Year Through Illegal Economic Trade !!!???? When the regime of Shah in Iran was overthrown in 1978-79 by a popular revolution ,one of the most chanted slogan during the revolution was " Freedom & Democracy " , justice and equality of all including women and men. How Khomeini became the leader of the revolution is not the issue of this short note , but when he was still in Paris, he always spoke highly about people and their demands and promised to deliver it, but a few years later when the Islamic regime was established and the revolutionary guards were organized , he forget all he have promised in the past and in a way he betrayed the revolution and to the Iranian people. The members of Revolutionary Guards were mostly from poor families and it was created to protect the revolution and not to use force against the people ,but it didn't take long for people to see another dictatorship was on the rise, but this time in the name of republic , an "Islamic Republic" !!??? From 1981 - 1990 Iran became like the Germany at the time of Hitler , check points were installed everywhere/ throughout the country , arrest and jailing of political activists became rampant , torture and killing of political prisoners became a daily activities of the Islamic regime's judiciary, interrogators and torturers, including mass killings of political prisoners ( in September 1988) . When Khomeini was around he did not allow the revolutionary guards to enter into politics or economy . But now the high ranking revolutionary guards are the billionair's and they are all involved in most internal and external trades including military products . Recently an MP in an open parliament session spoke about 60 illegal port of entry which belong to the revolutionary guards. This situation makes Iranian fear for power struggle within Islamic regime in the future and uncertainty of the goal of revolution, the freedom and democracy , the justice and equality for all . 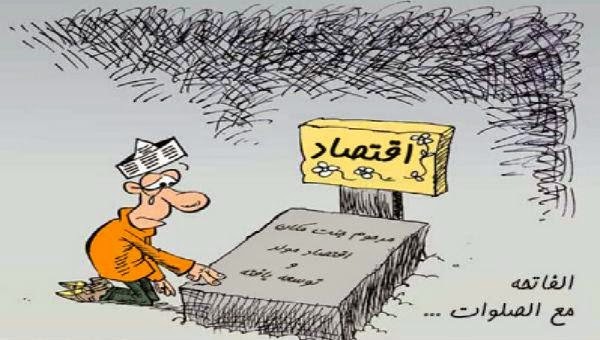 While the regime officials think to become rich faster and not fall behind from others , the Iranian people suffer more and becoms more poorer than before. 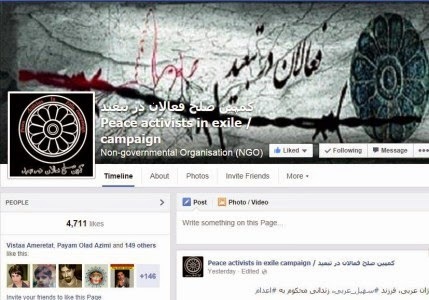 The Hackers Attacked on the Facebook of Peace Activist Campaign in Exile ! Since 11:00 pm Saturday the hackers took control of the Facebook page of Peace Activist Campaign in Exile. Therefore the management of the Facebook has no longer control on it . 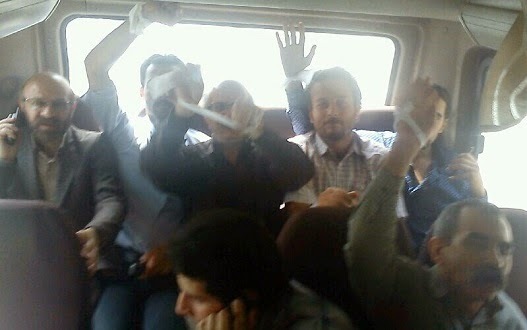 The reason of the attack is because of the recent arrests of many Iranian civil society activists . The campaign in a communique asked all those who are in contact with the campaign not to send any emails of messages to the campaign due to the fear of persecution by Islamic regime in Iran. The communique also said it will report through the website when the Facebook page will activate again . 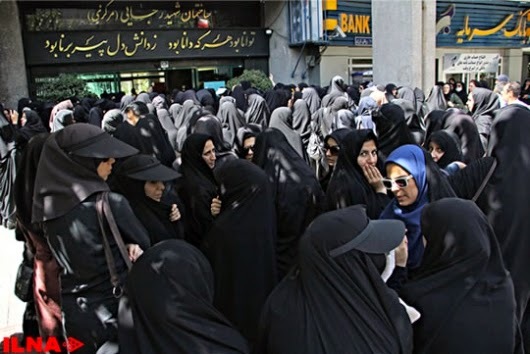 The Islamic regime in Iran let the fundamentalists do their activities against Iranian people particularly the women while they arrest or detain the Iranian civil society activists. This can only bring a more radical Islamists in Iranian society in the future . Iranian people of course know and will find ways to tackle the regimes blue prints. 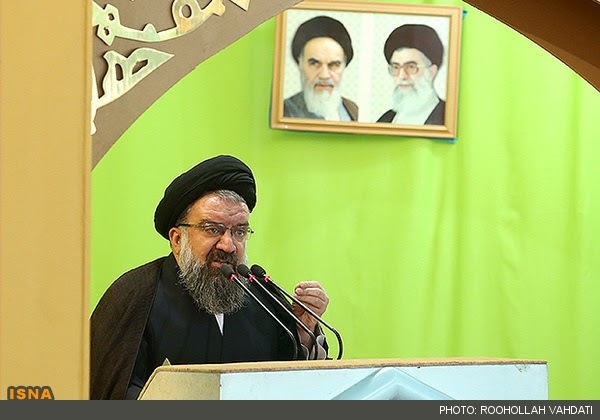 Ayatollah Ahmad Khatami this Friday Prayer Speaker : Government of Yemen Must be Grateful to Peaceful Protest, Because by Taking Repressive Approach towards Demonstrators will Create a Fire which the Government will Suffer the Consequences ! See who is saying that!!!??? 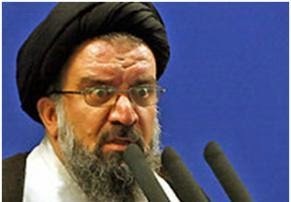 Seyed Ahmad Khatami is the most fundamentalists of all ayatollahs , in the past in all his prayer speech he instigate violence and still does , he was one of the supporter of Ahmadinejad and the election coup. During the election coup in 2009 in his prayer speech he had threatened the Iranian peaceful demonstrators all the time with violence and as a result of him and ayatollah Ahmad Janati's speech on each Friday prayers violence remained in our society and regime is benefiting by these type of speech , creating fear and violence in our society . With the speeches they delivered in our society ,violence became rampant . The World Saw and Can still see in youtube how the Islamic Regime in Iran violently acted against Peaceful Iranian demonstrators, by killing at least close to 100 peaceful protesters. GENEVA (4 September 2014) – Three United Nations experts on human rights in Iran , freedom of religion, and minority issues have today renewed an appeal to the Government of Iran to stop the destruction of a Bahá’í cemetery in Shiraz by Revolutionary Guards. “We are dismayed by reports that excavation work has resumed at the cemetery, where at least 950 members of the Bahá’í faith were buried,” the experts said. Revolutionary Guards are reported to have erected a sign at the cemetery detailing plans to build a cultural and sports centre, mosque, library, restaurant, theatre and child care facility on the site. Remains that were disinterred during initial excavations in April are said to have been placed in a nearby trench. 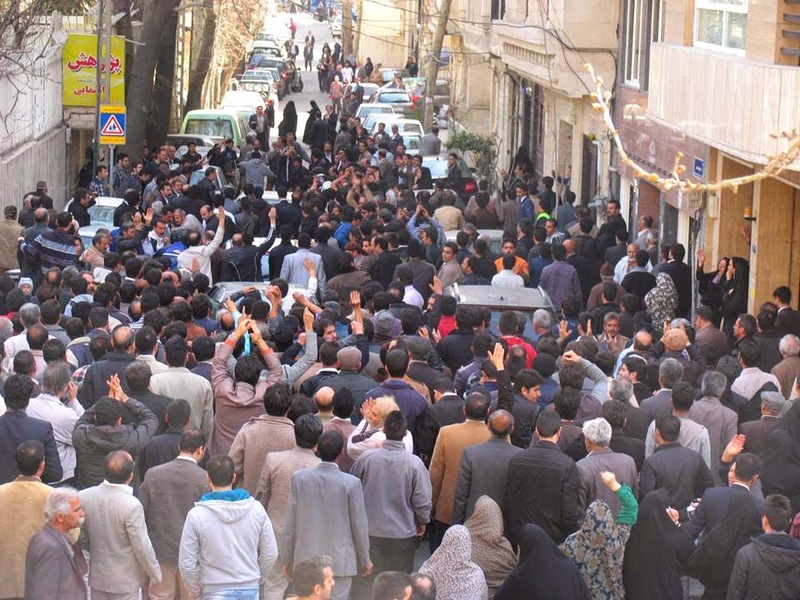 “Bahá’í s have religious rites and practices for the disposal of the deceased in their own cemeteries and the Government has the obligation not only to respect them but to protect them from destruction,” said Special Rapporteur on Iran Ahmed Shaheed. The Special Rapporteur on minority issues, Rita Izsák, also urged the Iranian Government to take concrete steps to protect religious minorities. “The Bahá’ís have been subjected to persecution and acts of violence. The authorities must protect them from further discrimination and stigmatisation,” she said. “Measures should be put in place to protect and maintain the cultural heritage of religious minorities, including burial grounds and other sites of religious significance,” she added. The Bahá’í community leaders have made representations to the Iranian authorities and Muslim clerics to save their cemetery. The three experts voiced shock at comments by the commander of the Revolutionary Guards in Shiraz who allegedly said that Bahá’ís had “no rightful place” in Iranian society and that the Islamic regime would not take note of a “foul, unclean, and rootless sect”. “Those responsible in government, religious communities, civil society organisations and the media should jointly and clearly speak out against incitement to hatred against minorities, in this case the Bahá’ís,” said Mr Bielefeldt. "The existence and religious identity of Bahá’í s must be protected on an equal footing with other major religions in Iran, and they must be afforded the right to profess and practise their own religion freely and without interference or any form of discrimination,” said Mr Shaheed. He also called on the Government of Iran to review the cases with a view of releasing the estimated 126 Bahá’í s currently in prison for organising religious gatherings, advocating for the right to education or managing the religious and administrative affairs of their community.